The National Institute of Mental Health (NIMH) notes that 2.7 percent of people ages 18 and over in the United States, or 6 million people, have panic disorder. People with panic disorder have uncontrolled and sudden fear, or panic attacks, and worry about future panic attacks. But why do people have panic attacks? Part of it is how the brain responds. The Lundbeck Institute explains that one area of the brain, the limbic system, is affected by panic attacks. 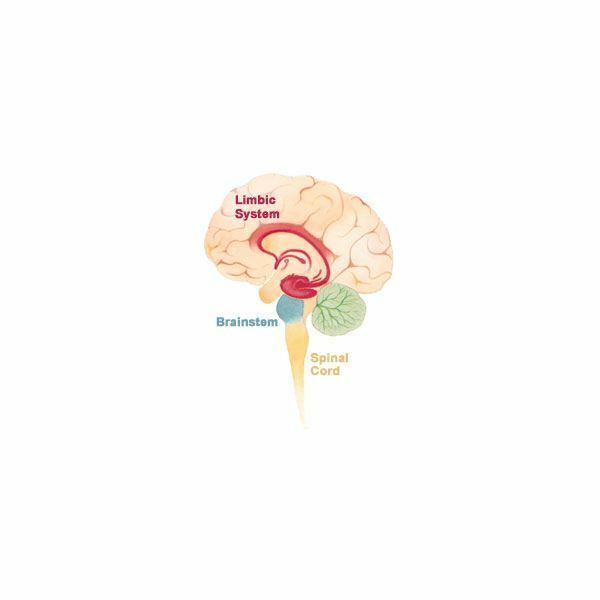 The limbic system is made up of multiple structures involved in emotion and memory. The three major parts of the limbic system is the hypothalamus, hippocampus and amygdala. As Dr. C. George Boeree of Shippensburg University describes, the hypothalamus’s main function is homeostasis, and regulates hunger, anger, levels of pleasure, response to pain and other functions. The hypothalamus is also involved in functioning of the autonomic nervous system, one of the divisions of the nervous system. The hippocampus plays an essential role in memory. To create a long-term memory, the short-term memory must go through the process of consolidation, which the hippocampus carries out. The amygdala controls a person’s emotional responses to situations, whether it is happiness, sadness or fear. The limbic system and panic attacks are highly interconnected. When a person becomes frightened, the body activates the “fight or flight" response, which is carried out by the sympathetic nervous system, a division of the autonomic nervous system. Boeree points out that the sympathetic nervous system’s functions, which the hypothalamus regulates, causes an increased heart rate and dilated pupils. The sympathetic nervous system also increases air flow, opens the eyelids, prevents bowel movements, increases sweating and dilates blood vessels in muscles used to “escape," while constricting them in other areas of the body. Other parts of the limbic system activate during a panic attack. Brown University notes that studies using functional MRI, which show activity in the brain, suggest abnormal activation of the hippocampus and parahippocampal gyrus, which surrounds the hippocampus, during a panic attack. One part of the limbic system highly affected by panic attacks is the amygdala. Since the amygdala is involved in emotional learning, it creates a conditioned fear response. For example, if an upcoming presentation caused the first panic attack, remembering the presentation or facing a new one can trigger the conditioned fear response. The amygdala has direct connections to other parts of the brain, which result in the different panic responses. For example, the University of Wisconsin-Madison points out that when the amygdala receives the stimuli and sends the conditioned fear response to the hypothalamus, it results in a rapid heart beat, blood pressure elevation, pupil dilation and paleness. Signals sent from the amygdala to the brain stem reticular formation results in an increased startle response, while signals sent to the paraventricular nucleus, which is in the hypothalamus, causes corticosteroid release. The amygdala can also affect the nerves: signals sent from the amygdala to the trigeminal and facial motor nerves result in fear expressions. Other amygdala responses during a panic attack: signals sent to the parabrachial nucleus (panting, respiratory distress); signals sent to the ventral tegmental area and locus coeruleus (increased vigilance and behavioral arousal); and signals sent to the central (periaqueductal) grey (freezing). © 2019 healthguideinfo.com - All rights reserved.